It was early 2017, and Taylor had only recently allowed her 13-year-old daughter Kristina to play with friends outside. Not in the park around the corner — Taylor couldn’t see quite that far. Their neighborhood on the west side of Chicago was not a place for children to roam. It wasn’t uncommon to hear gunshots; Kristina’s school regularly went on lockdown because of nearby shootings. As she looked out from the porch, she saw a police car chasing another vehicle — and there stood Kristina, playing nearby. Suddenly, one of the cars lost control, driving over the curb and crashing into a tree, a hair’s breadth from her daughter. The pastor’s name was Pamela Banks. And it just so happened that she was also a real estate agent. 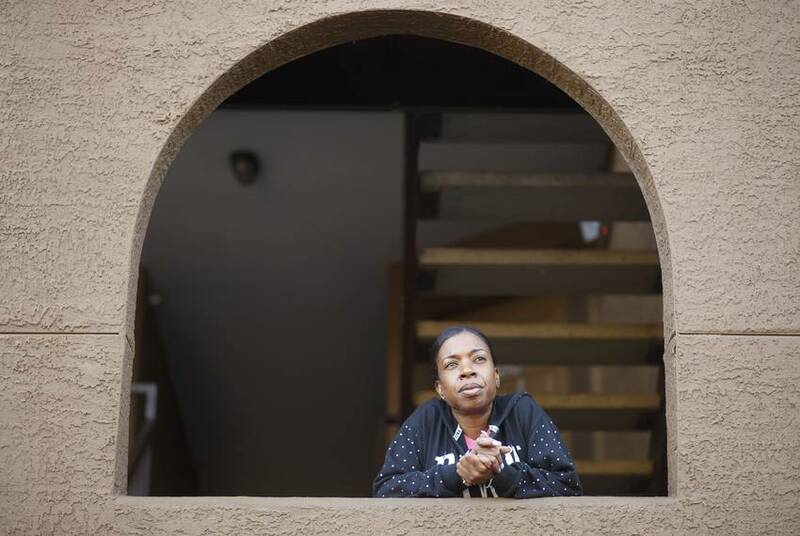 Many of her clients used a federal government benefit called a housing choice voucher, also known as a Section 8 voucher, which subsidizes a family’s rental payments. Taylor was familiar with vouchers. 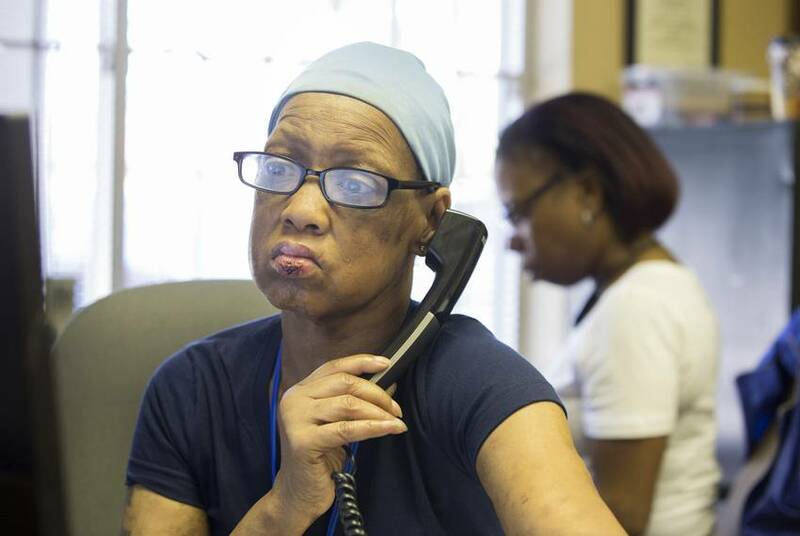 She’d received one a few years earlier after a difficult divorce, and it allowed her to pay $238 a month to live on the first floor of a white, two-bedroom Chicago apartment; the Chicago Housing Authority paid the remaining $712. Houston was a booming city with some attractive offerings: plenty of jobs, racial diversity and comparatively cheap housing. Taylor had few connections there, but the small church community she’d found online was ready to welcome her. The law essentially legalized a long-standing practice among landlords that blocked voucher-holders, who are overwhelmingly black and Hispanic, from moving to better neighborhoods. Taylor’s intuition — that moving her daughter to a better neighborhood could improve their lives over the long term — is backed up by decades of research. And the research is based primarily on families a lot like hers, who sought to use the Section 8 program as a springboard into a more prosperous area. Signed into law in the 1970s, the Section 8 program marked the beginning of a new era in government housing assistance for the poor. Rather than deal with the expense of building and maintaining public housing developments — which fell out of political favor as they grew to symbolize the dangers of concentrated poverty and government neglect — Congress chose to give out subsidies in the private market. The program was also seen as a possible solution to an intractable national problem: residential segregation. Responding to lawsuits filed throughout the second half of the 20th century, judges admonished housing authorities across the country for concentrating low-income people of color in a few areas. In Dallas, for example, the local housing authority in 1955 built 3,500 public housing units in a high-crime neighborhood across the street from a lead smelter. Originally, the project had white and Hispanic residents, but by the 1970s almost everyone living there was black. Meanwhile, public housing meant for white residents was scattered across the city in more desirable areas. After early successes with a voucher program in Chicago launched in the 1970s, the federal government tried a national experiment in 1994: Thousands of families in Baltimore, Boston, Chicago, Los Angeles and New York received vouchers they could use if they moved to an area where less than 10 percent of residents lived in poverty. 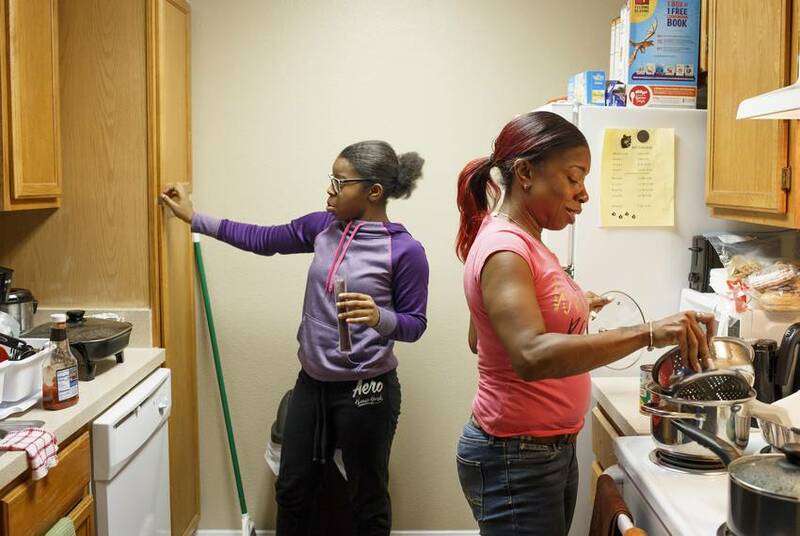 Eight years later, after a court settlement in a case filed against Dallas by civil rights lawyers, thousands of Dallas families that lived in public housing began to receive vouchers, along with extra resources to move into neighborhoods of higher opportunity — usually defined as areas with a relatively low poverty rate and a relatively large white population. The benefits for families that managed to move proved to be substantial. Researchers found women were less likely to suffer from extreme obesity, diabetes and depression. A subsequent study found that their children — particularly those who could move before age 13 — were more likely to attend college. Researchers also analyzed tax records and projected that those children would earn about $302,000 more over their lifetimes than children who remained in public housing — and would pay enough additional income taxes to offset the cost of the program. The flooding spared Banks’ neighborhood. 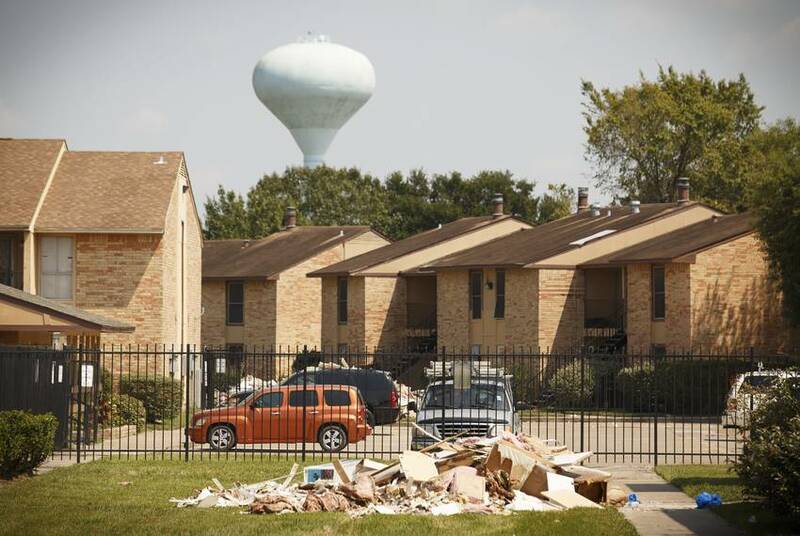 But the storm damaged 470,000 rental units in Houston — creating a citywide rush for housing by displaced flood victims. For Taylor, finding a good place to live was about to get much harder. Eventually, she got her real estate license. And when she finally got her voucher — an $850 per month subsidy for a three-bedroom apartment — she spent weeks hunting for housing before finding what seemed like a long shot: a three-bedroom, two-bathroom home with a fireplace in the coveted suburb of Katy. 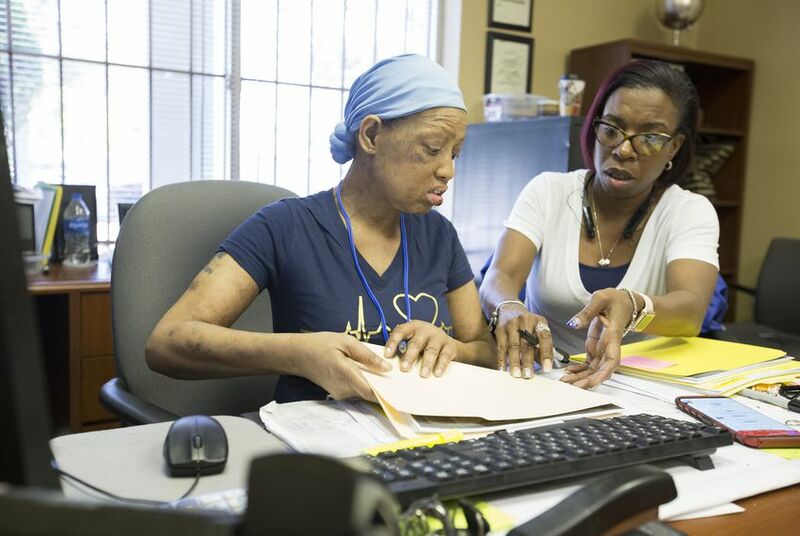 For Tom McCasland, the realization began when he took the helm at the Harris County Housing Authority in 2015, leaving behind a high-paying job at a prestigious law firm. McCasland grew up in a family of 10 children and spent most of his high school years living in a house with no electricity. So he was passionate about helping poor families. Recent studies have revealed similar problems in cities throughout Texas. In 2012, the Austin Tenants’ Council surveyed 77,000 units that had rent and income requirements low enough for Section 8 voucher-holders to be able to live there. Only about 10 percent of those units were open to voucher-holders. Two years later, researchers at the University of Texas at Austin released a bombshell study that found Austin, out of all major, fast-growing cities in the country, was the only one with a shrinking African-American population. Landlords feared “a situation where owners would in effect have to take housing vouchers and participate in a federal program whether they chose to or not, even though the program was designed to be voluntary,” said David Mintz, head lobbyist for the Texas Apartment Association. Affordable housing advocates don’t buy that excuse. Last year, the Dallas-based Inclusive Communities Project surveyed about 1,900 properties and found just 226 that accepted vouchers — nearly all of them located in poor, predominantly minority areas. But not a single apartment complex surveyed in 26 Dallas suburbs accepted vouchers; nearly all of those suburbs are majority-white. Austin was about to make Section 8 voucher-holders a protected class under its housing nondiscrimination law. That meant landlords who turned tenants away simply for having a Section 8 voucher could face a penalty of up to $10,000 for a first-time offense. When Carlton, a lobbyist for the Dallas Apartment Association, first heard about Austin’s plan, she’d shrugged it off as another radical proposal from one of the state’s most liberal cities. “At that point we all thought this was just — pardon me — but the crazy Austin council again doing something that nobody else has thought about,” she said in an interview earlier this summer. 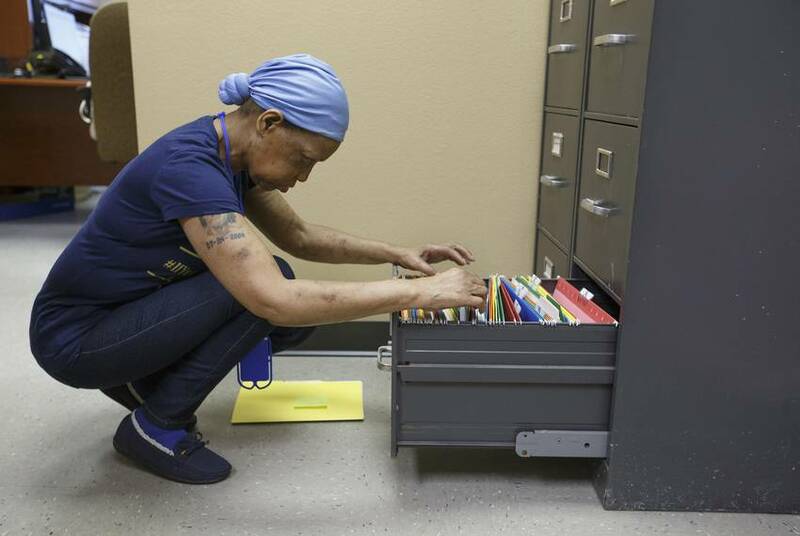 Lubbock has a quarter-million residents, but only about 850 families have Section 8 vouchers — a tiny fraction of the number in Texas’ largest cities — and there is no indication the city ever considered passing a nondiscrimination ordinance like Austin’s. In late December 2014, days after the ordinance passed, Perry — whose re-election campaign received a $5,000 check from the apartment association that fall — filed the bill the apartment lobby had been waiting for: No city could pass an ordinance that penalized a landlord for refusing to lease to someone with a housing-choice voucher. 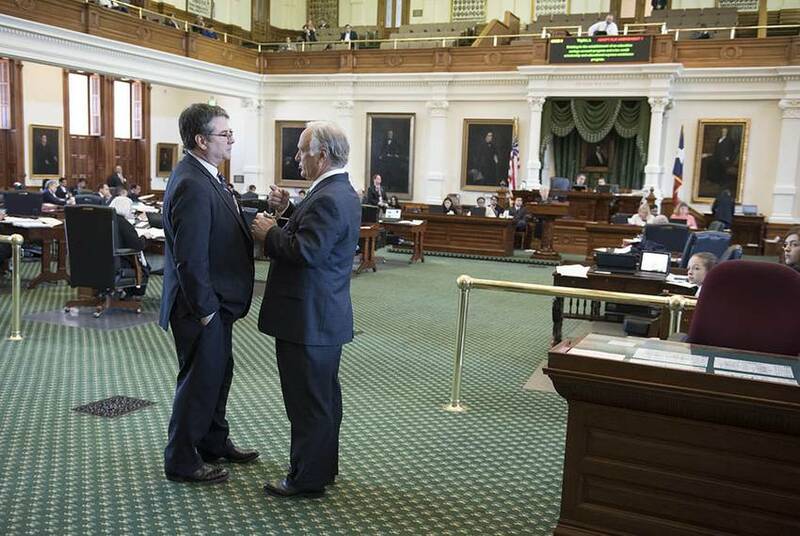 Dan Huberty, a Republican state representative from Houston who carried the legislation in the Texas House, said the bill “was put together thoughtfully” and that the veterans’ voucher program is very small compared with the full Section 8 program. Besides, he said, "I can't imagine a business that would want to discriminate against a veteran." The bill ultimately passed both chambers of the Legislature — with Republicans in favor and Democrats opposed — and when Gov. Greg Abbott signed it into law, Austin’s ordinance was voided. The pressure from the Obama administration to pass similar protections for voucher-holders in Dallas evaporated. By contrast, the ZIP code where recipients of Houston Housing Authority vouchers are most likely to live is 77021, south of downtown — where 71 percent of residents are black, 17 percent are Hispanic and nearly 30 percent of people live in poverty. 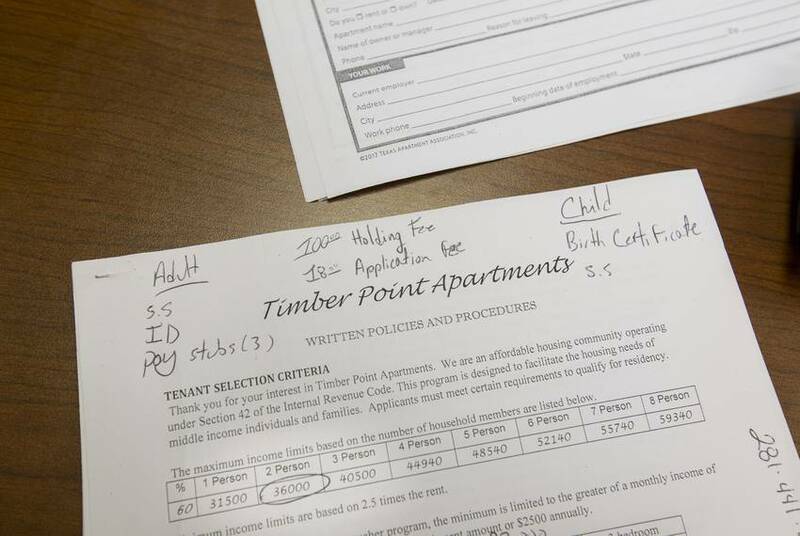 In 2015, the Harris County Housing Authority — then led by McCasland — aimed to build a subsidized apartment complex for low-income seniors in Tomball, in a majority-white area where less than 10 percent of residents live in poverty. McCasland was inundated with messages of opposition from the public. Houston officials ultimately moved the project forward after neighbors insisted that it only be open to elderly, childless adults — even though families with young children would most benefit most from moving to a suburb like Tomball, research shows. The following year, debate exploded over a proposal from the Houston Housing Authority to build another such project in the wealthy Galleria neighborhood west of downtown. Hundreds of angry neighbors, most of them white, showed up to a public meeting to protest the idea in the spring of 2016. They said the project — known as Fountain View, because of the name of the road it would be located on — was too expensive, would increase traffic, and would overcrowd the local elementary school. These are familiar complaints among landlords, who say they often have to track down late payments from local housing authorities or find themselves having to return payments that continue to come long after a tenant has moved out. And if a unit fails its inspection, sometimes for reasons that feel as arbitrary as the exhaust fan, it sometimes takes weeks to reschedule — which costs them money as units sit empty. “I just do not think you're going to get the owners and operators across the country ... to accept Section 8 on some type of mandatory basis when it was already always designed as a voluntary program,” said Stacy Hunt, who works at at Greystar, a large property management company in Houston. Advocates for low-income tenants concede the housing choice voucher program has its drawbacks. But they question why landlords are willing to put up with its difficulties in certain neighborhoods — especially low-income areas where people of color are overrepresented — and not in others. The group presented a list of nine Lincoln-owned or managed apartments that accept Section 8 vouchers, all of which are in census tracts where people of color make up a majority. One, called the Flats at Five Mile Creek, is in an area where just 4 percent of residents are white and more than 40 percent live in poverty. Meanwhile, an online advertisement for Park Central at Flower Mound — where just 4 percent of residents live in poverty and 84 percent are white — is very clear. Now in its second year of operation, the Inclusive Communities program is currently helping about two dozen families with vouchers move to wealthier, predominantly white neighborhoods. Almost all of them live in apartment complexes managed by one company — LumaCorp, headed by Ian Mattingly. Lopez, of NestQuest in Houston, has her theories: Maybe it all just sounds too good to be true. Maybe NestQuest doesn’t have a track record in the community yet. But as someone who grew up in public housing in a heavily segregated Houston neighborhood, she also wonders if this is proof of what she and many others suspect is the real reason that landlords have not wanted to rent to Section 8 voucher-holders all along — the stereotype. In a lawsuit filed against Gov. Greg Abbott and the state of Texas over the 2015 law, the Inclusive Communities Project notes that close to 90 percent of families living with vouchers in Houston and Dallas are black. “I said, ‘You know what Lord, until you get me where I need to be, I’m gonna humble myself and go into an apartment,’” she said.